From 1977-1989, Dr. Chow worked at General Electric Corporate Research and Development, Schenectady, NY. In the first two years, he was involved with developing CVD processes and characterization of doped tin oxide and indium oxide thin films for transparent electrode applications in solid-state imagers. From 1979-1982, his work on refractory metals and metal silicides included the deposition and plasma etching of these films as well as their incorporation into integrated-circuit processes and performance characterization of test devices and logic circuits. From 1982 to 1989, he participated in the design and process development of various discrete and integrable MOS-gated unipolar and bipolar devices (such as the MOSFET, IGBT and MCT). Also, he was involved with process architecture and integration of high-voltage power integrated circuits. 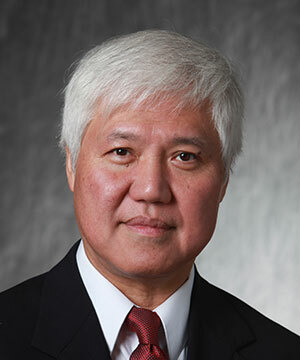 Since 1989, he has been in the faculty of the Electrical, Systems and Computer Engineering Department of Rensselaer Polytechnic Institute, Troy, NY.